What did you get your sweetheart for Valentine’s? Chocolate, Roses… come on now, let’s get 50 shades of grey here and step up your game! Get her what she really wants. 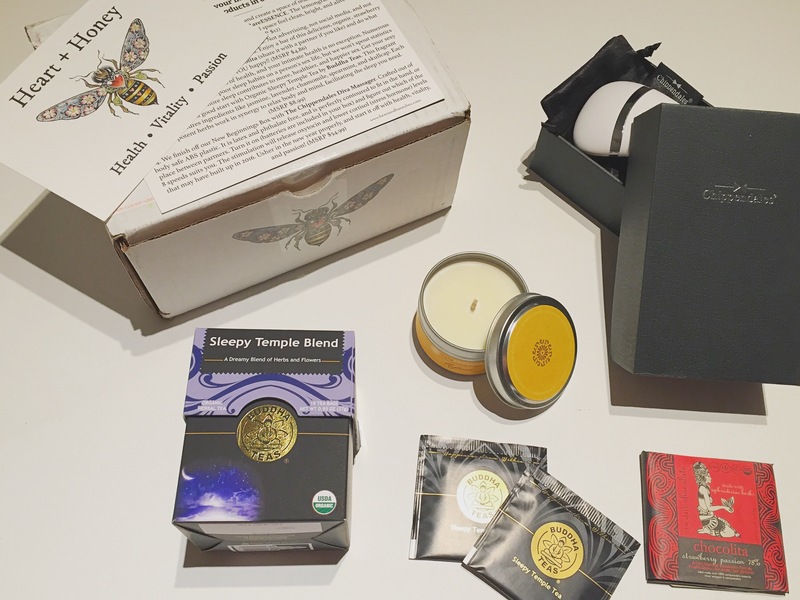 The Heart + Honey box! This is a hot and heavy box, kids look away as this ones Rated-R! But seriously, this box is meant to ameliorate your sexual vitality, passion and romance in a relationship or with yourself. Don’t be afraid to be open about what you want or what you like. The Chippendales Diva Massager – oh hello! Umm this is a fantastic little friend that will definitely do the trick ladies! Look no further! This is the perfect stress relief item, the perfect tool to take your mind off of ‘adulting’. Just immerse yourself in a world of pleasure and forget your worries. Worth $55 on it’s own so this box is already paying for itself! Sleepy Temple Blend Tea – relax your mind, body and soul with this tea filled with chamomile, lavender, spearmint and more. I am all about my beauty sleep, and a well rested Kelsey is a happy Kelsey! RareESSENCE aromatherapy candle – Mmmm lovely smell of lemongrass and lemon peel. Clearing my mind here with this relaxing scent. Sure to put you in the mood! Chocolita aphrodisiac chocolate – Yummy little organic strawberry chocolate to share or enjoy all for yourself.